Or, to be more precise, a home to stay in. Forever. And never leave. Ever. Bit odd. I can totally see the flower bit, but honeycomb? 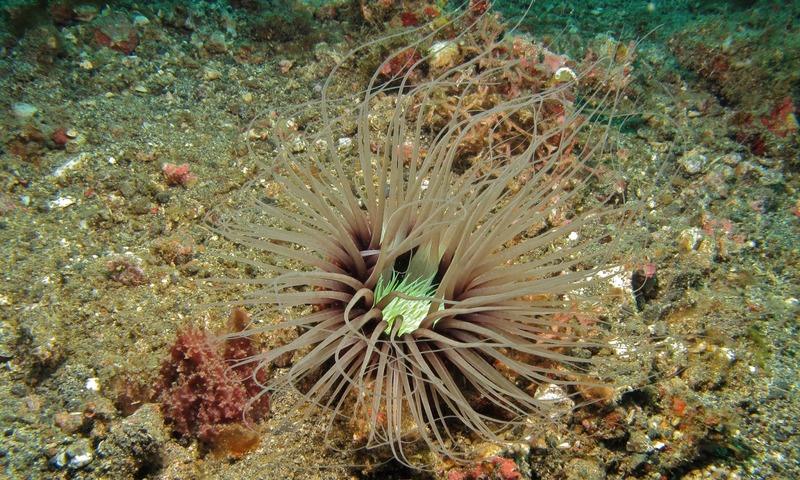 In any case, sea anemones have a separate order all to themselves and, together with Tube Anemones and corals, they make up Anthozoa: the "flower animals". They're all stinging, meat-eating flowers because I guess sea water acts as a kind of "evil juice" on them. Maybe Doctor Jekyll could have saved himself a whole lot of time and test tubes if he just went to the beach with a cup? 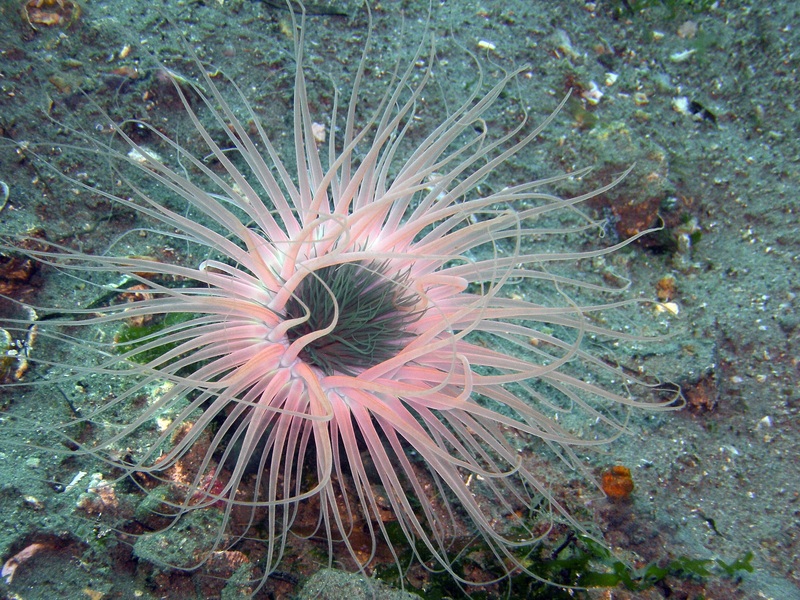 Tube Anemones, or Cerianthids, are found everywhere from the intertidal zone all the way down to the deep sea. A water resistant gas flame! A lot of them look utterly beautiful! 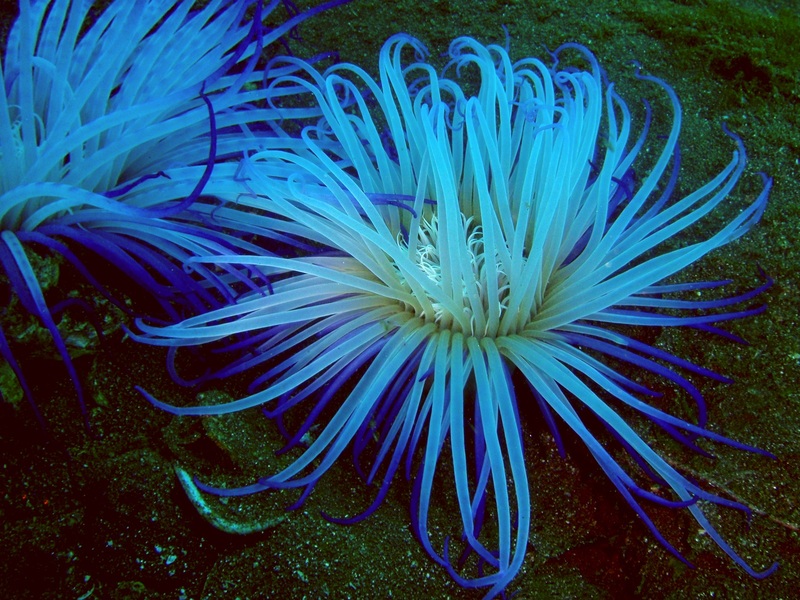 They have long, flowing tentacles which waft deliciously in the current and come in all manner of extravagant colours. It's almost enough to make you forget that they're stinging and meat-eating! Actually they have two sets of tentacles. The long, outer ones are for stinging and catching food, while the short, inner ones shove whatever they catch into a mouth that lies right at the centre. More importantly, they can use one or two of them to push a tasty meat product toward their mouth. Their stingers are potent enough to kill or paralyse a sizeable fish. This is no mere plankton eater! Once their prey is immobilised, the long tentacles bat it over to the little ones who will shift it around and push into a mouth which stretches open, wider than anyone would like. 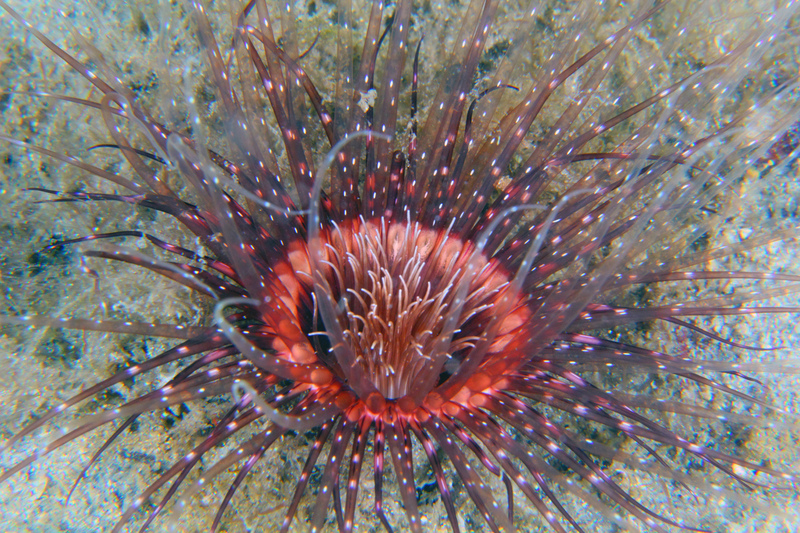 All that is quite a lot like a sea anemone, but then there's the Tube bit. Cerianthids have specially modified stinging cells that no longer sting. Instead they secrete strands of sticky, mucus stuff that sticks to sand and hardens into a leathery or papery material. This is what they construct their home out of. I suppose it's also the "honey comb" in question. Maybe it's one cell of a honeycomb at the bottom of the sea and instead of honey it contains a stinging, meat-eating flower. Evil juice has outdone itself. 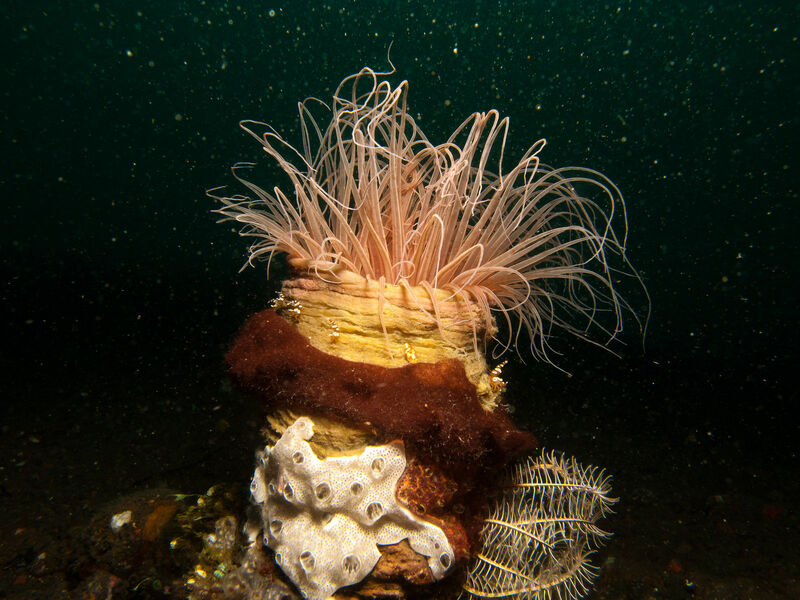 A big Tube Anemone may be over 30 cm (a foot) long, but it's all hidden in the sandy sea floor. 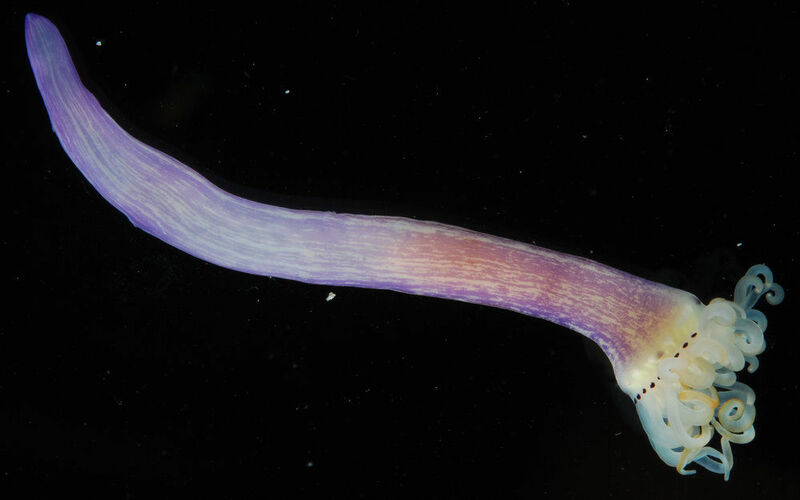 Their body ends in a smooth tip that can expand and bulge so that the animal can dig into the seabed, constructing their tube as they go. These tubes can be over a metre (3 feet) long! 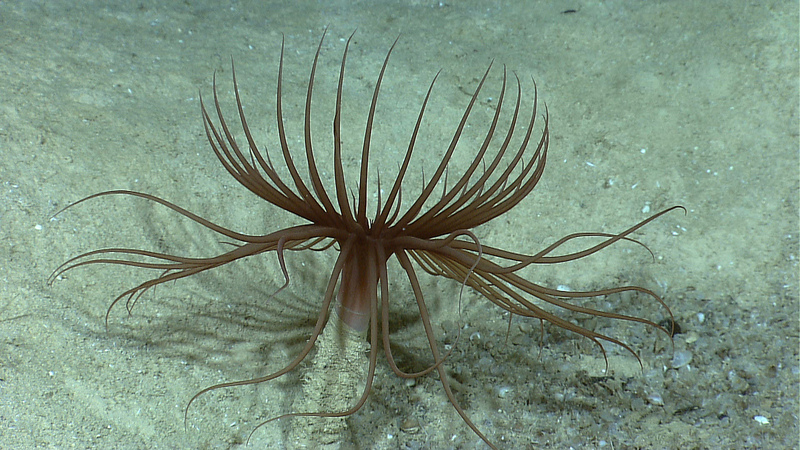 At the first sign of trouble, a Cerianthid will swiftly dive deep into their burrow. 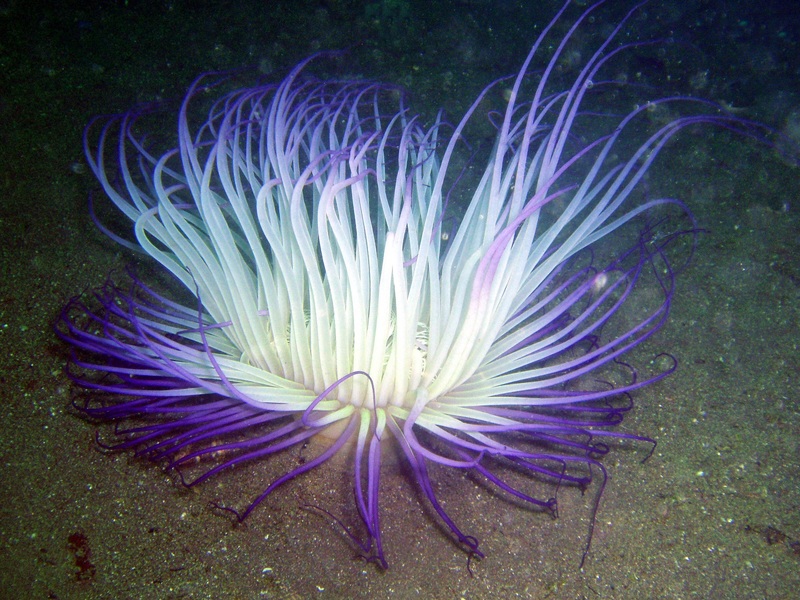 As you might imagine, Cerianthid romance involves no touching. They simply open out their tentacles and release their sperm and eggs into the sea. 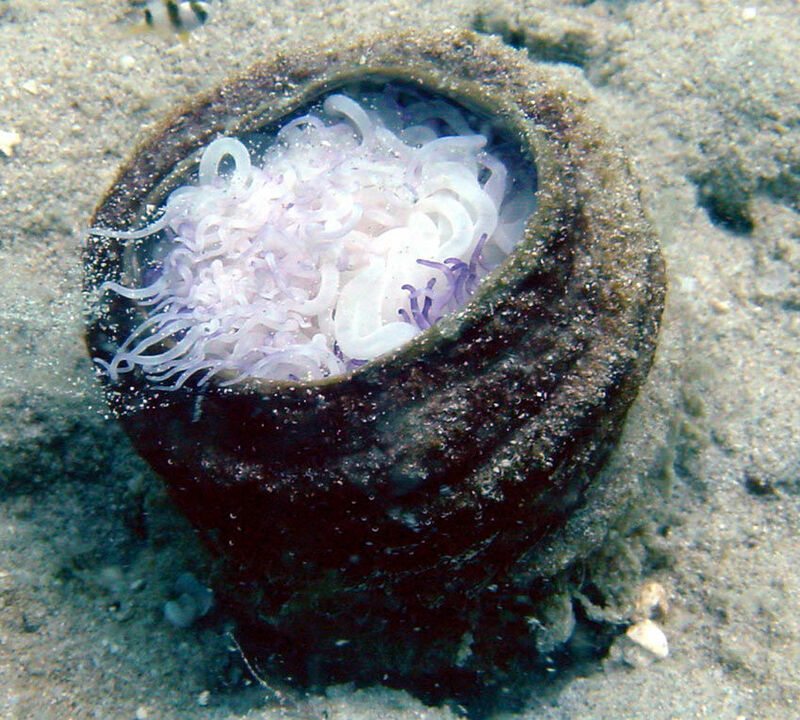 The eggs develop into larvae and drift around on the current. As we know, creatures in the phylum Cnidaria have two basic forms: the medusae are the jellyfish types which are good at swimming. "Good" might be too strong a word but they can sort of swim, anyway. 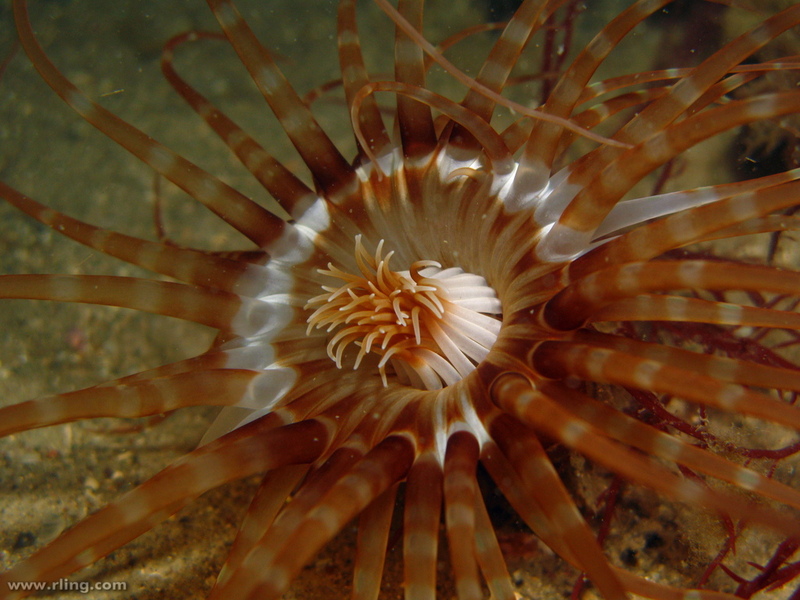 Secondly, the polyps are the sea anemone types that are good at staying in one place. 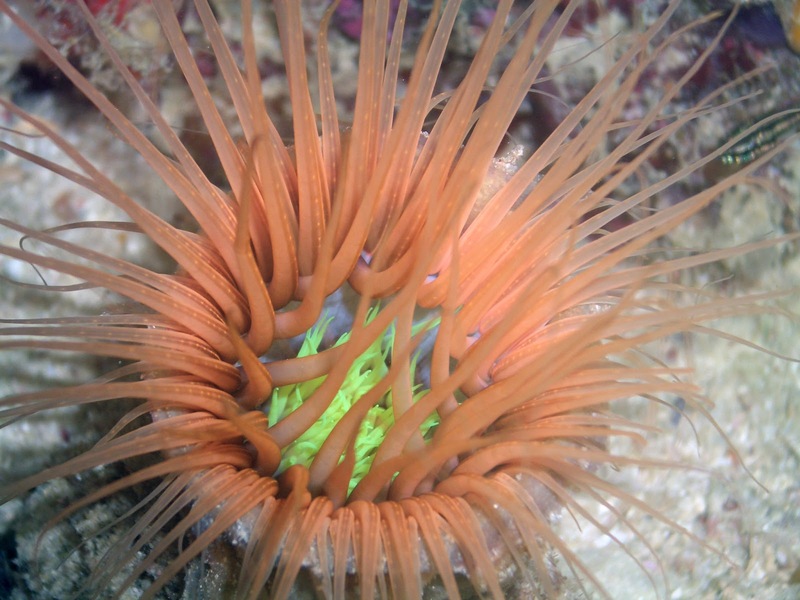 Anthozoans like the Tube Anemones don't have a jellyfish stage, they're polyps all their life. 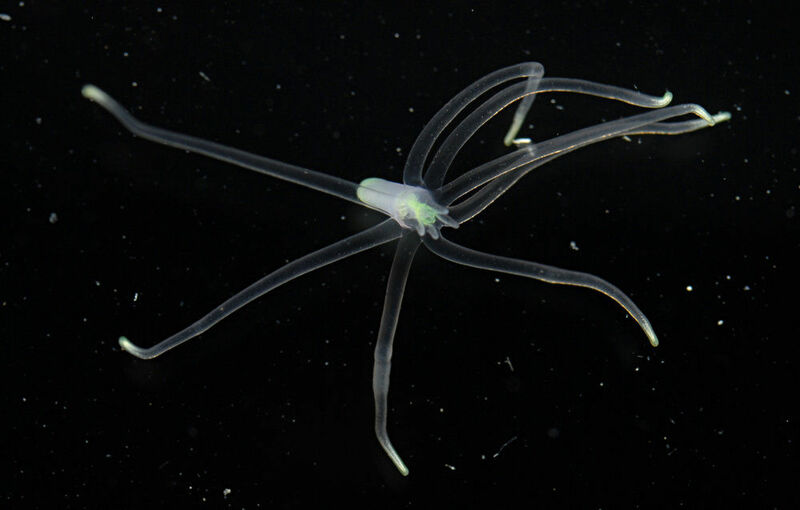 However, this doesn't stop larval Cerianthids from being pretty good at swimming! 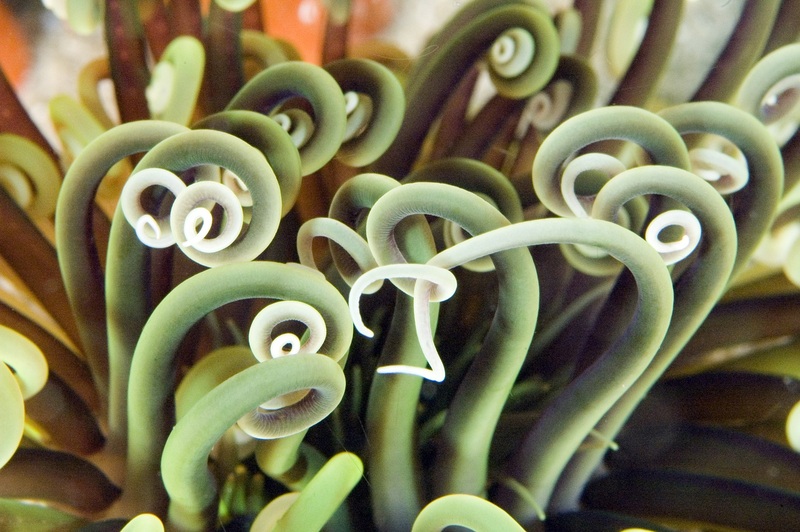 As they grow from a teeny-teeny tiny size to just a really small size, they spread out their long, burgeoning tentacles to stop themselves from sinking. This way they can get quite far before they descend to the sea floor and begin constructing their own tube. So they're stinging flowers, stinging honey and stinging cherry blossoms. Good job! I've never thought about it that way before, but salt water acting as a kind of demonizing bath totally makes sense! pretty amazing. cheers to evil juice! Evil Juice makes the world go round! maybe that's why potato chip companies started only filling their bags halfway, they got a cup/bath of evil juice! Yikes, some of these set off my "it's a spider, run!" instincts, particularly the orange one near the top. I think it's the banding. @Porakiya Draekojin: Haha! Not to mention the shrinking chocolate bars! @Crunchy: Wow. These are like super-spider, spider of a thousand legs!